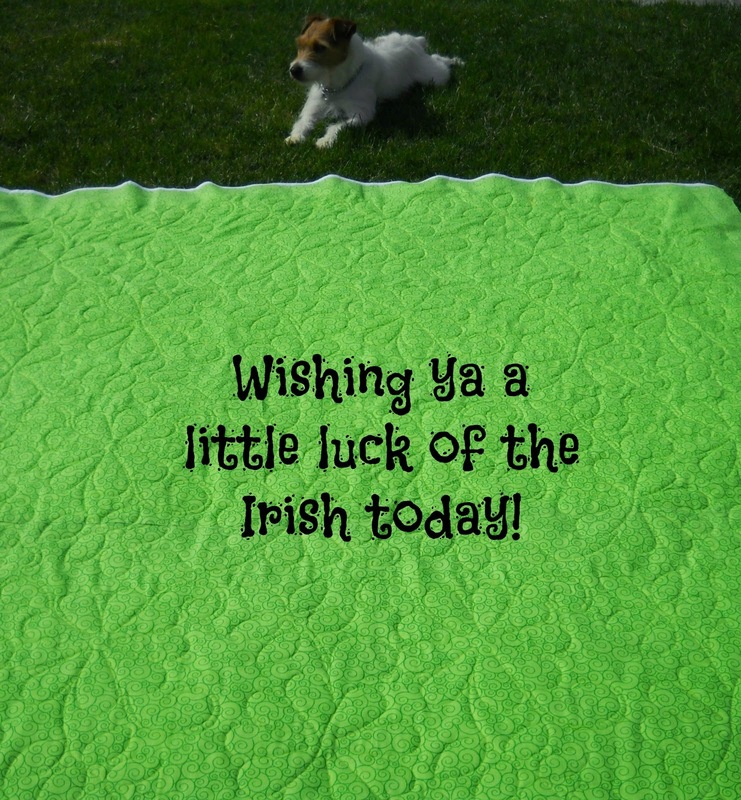 Val's Quilting Studio : Happy St. Patrick's Day! Luck O' the Irish to you, too! I told my husband, right from the start, that he was obligated to like the things I quilted. He had no other choice, lol! Love the big flowers - perfect! This quilting is wonderful, Val! Yay for husbands that support our obsession...I mean hobby!